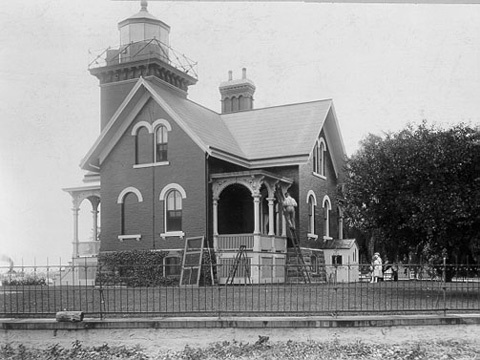 A historical photograph of the lighthouse while it was still in service. Fate/Disposition: The lighthouse was torn down to make way for the present day US Coast Guard Station which sits on the same site. 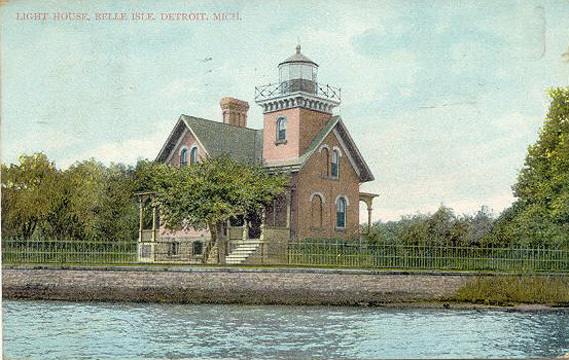 The lighthouse from a colored postcard.